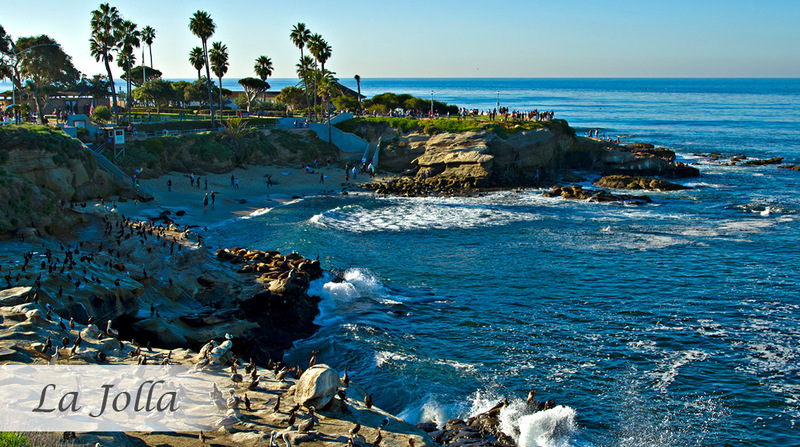 La Jolla is an affluent community within the city of San Diego, California, United States. It is a hilly seaside community, occupying 7 miles of curving coastline along the Pacific Ocean within the northern city limits. The 2004 estimated population was 42,808. La Jolla is surrounded on three sides by ocean bluffs and beaches and is located 12 miles north of Downtown San Diego, and 40 miles south of Orange County California. The climate is mild, with an average daily temperature of 70.5 °F.